Sylvester Mobley, founder and CEO of the youth technology education non-profit, Coded by Kids, will receive the coveted Philadelphia Award for 2018. Mobley was selected by the Board of Trustees of the Philadelphia Award in recognition of his tireless work to create a pathway for underserved and underrepresented children to access tech education opportunities. 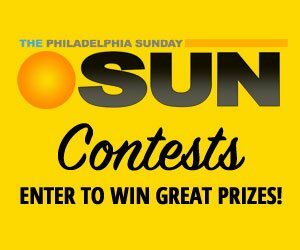 The award will be presented at a reception at the Comcast Technology Center on May 2, 2019. 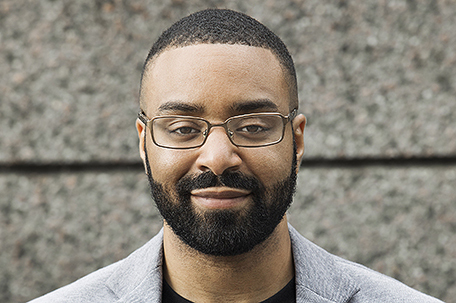 Raised in Philadelphia and a product of the city’s public school system, Mobley never intended to pursue a career in tech. After graduating from high school, he went on to serve for 12 years in three branches of the military – the Marines, Army, and Air Force – and is a veteran of the war in Iraq. Taking advantage of the Military Prior Service program, he was able to re-enlist in a different branch without having to re-do basic training. Mobley credits his time with the Air Force to providing hardware, software, and fiber optics training that opened his eyes to a future in the tech industry. After his military service, Mobley grew frustrated with the lack of diversity and inclusion in the tech sector – a sentiment that has echoed across the industry. A 2018 report from the Brookings Institution estimates that Blacks and Hispanics remain underrepresented in tech jobs by nearly 50 percent, and the gap continues to widen, with some data showing that African American representation in tech jobs can be as low as 5 percent. Enter Coded by Kids; an idea that grew out of Mobley’s desire to ensure young people from underrepresented groups had the support and access to educational opportunities that would lead to careers in technology. While it started in 2014 as a small program run out of local Philadelphia recreation centers, Coded by Kids has built a scalable model for youth tech education that provides students with intermediate- to advanced-level software development, data science, and user experience design skills. Under Mobley’s leadership, Coded by Kids has grown from an organization that served fewer than 15 children in one Philadelphia recreation center to serving more than 650 students in schools and community centers in three states. The non-profit continues to thrive, propelled by Mobley’s mission to ensure that every child has the support, resources, and opportunity to found and build the next Google, Microsoft, or Facebook, regardless of what they look like or where they come from. “Through his work with Coded by Kids, Sylvester is not just training kids for tech careers, but he’s also training them to be leaders in the field and serving as a role model in the process – and that’s something that’s sorely needed here in our Philadelphia neighborhoods,” said David L. Cohen, chair of the board of trustees of the Philadelphia Award and senior executive vice president and chief diversity officer of Comcast Corporation. Mobley is a husband, a father of three, and a graduate of Temple University’s Fox School of Business. He has received awards and recognitions for his work from several organizations, including the Philadelphia City Council, the Philadelphia Business Journal, The Philadelphia 76ers, Billy Penn, and Philadelphia Academies.